Afsoun received an Honours Bachelor of Arts in Political Science from York University in 2010. Continuing her academic studies, she earned her law degree (J.D.) from the University of Ottawa's faculty of law with a Specialization in Law and Technology in 2014. 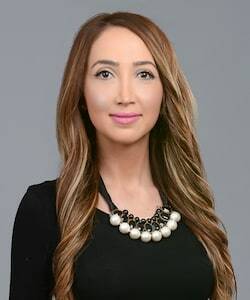 Following law school, Afsoun emerged into the field of insurance law when she articled for a plaintiff personal injury firm in Etobicoke. 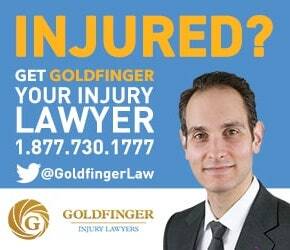 After being called to the Ontario Bar in 2016, she continued to exclusively practice in the area of plaintiff personal injury litigation and joined Goldfinger Injury Lawyers. At the firm, a large area of Afsoun's practice includes serious and catastrophic motor vehicle accident claims, motorcycle and bike accident cases, slip and fall claims, long-term disability claims, Criminal Injuries Compensation Board matters, and CPP disability matters. She dedicates her work to providing a strong voice for those who are injured and/or disabled while tirelessly striving to acquire the compensation they deserve. Afsoun has appeared on matters before the Superior Court of Justice, the Criminal Injuries Compensation Board, the Licensing Appeal Tribunal, the Social Security Tribunal, and Small Claims Court. Afsoun is a member of the Ontario Bar and Canadian Bar Associations, Ontario Trial Lawyers Association, and the Law Society of Ontario. She speaks three languages (English, French and Farsi) and has co-authored a few legal publications and conference materials throughout her career. Outside of law, she enjoys travelling, wildlife photography, going to zumba and kickboxing classes, as well as spending time with loved ones.